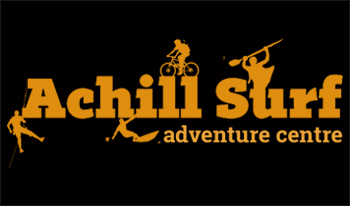 Achill Surf Adventure Centre offers a broad range of adrenaline fuelled land and water based adventure activities including sea based activities. Find us on Achill Island on the Wild Atlantic Way. We offer an extensive range of adventure summer camps, surf camps, sea kayak tours and adult activity packages. Youth groups can avail of our outdoor education packages including activity school tours, residential adventure trips and cultural school tours. Family adventure activities can include surfing, kayaking and coasteering which are available on a daily basis to holiday makers and the public during the summer months of June to August. For land lovers we offer rock climbing, abseiling, cycling, orienteering and mountaineering. Come on an Island adventure experience that you will never forget, celebrate that special occasion, or build the perfect corporate team. Achill Island offers the perfect location to your personal adventure. Coming soon, our purpose built residential activity and adventure centre! Our Surf Summer Camp includes 5 surf session Mon – Fri.
• Not just a sport it even has its own culture. By far the most popular activity at Achill Surf & G.O.E.C Ltd. Surfing is great fun but also a grounding experience for people as they gain respect for the sheer power of nature. Whether it’s getting the buzz from your first wave ever, the challenge of learning to bottom turn on a green wave or the sheer adrenaline of down the line surfing over an unforgiving Achill Cliff side wave, it’s a must. • When you start surfing, you learn on gentle waves which break over sandy beaches on soft construction boards, which are easy to catch waves on and don’t’ hurt if they hit you! Once you’re standing up confidently you venture ‘out the back’ to the unbroken waves. This is where you really start surfing and the addiction begins. You wait patiently ‘out back’ for the next set of waves surrounded by the vastness of the Atlantic Ocean and then go for it. Skimming down the face and making it all the way to the beach is an unforgettable feeling. Then it’s time to try a hard board for more speed and manoeuvrability.